Outfits Of The Day Between Nina And Rihanna Who Rocked It Better? Between Nina And Rihanna Who Rocked It Better? 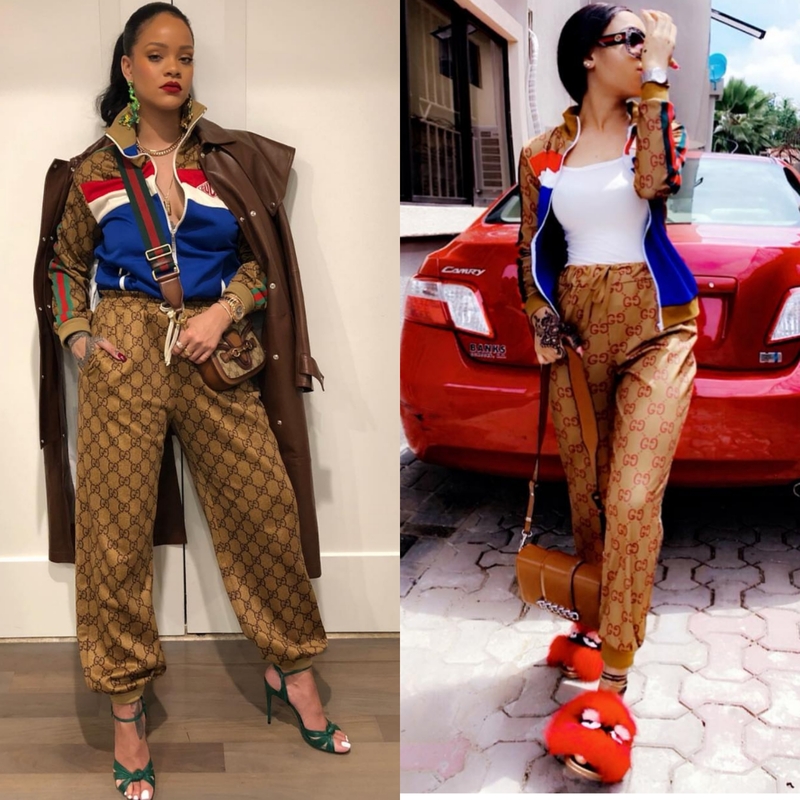 Ex Big Brother Naija housemate,Nina stepped out today in an outfit similar to the Gucci tracksuit Rihanna wore a while back. While Nina’s is obviously not real Gucci ,you can’t deny she pulled it off and would even given fashion icon, Riri a run for her money. Now the question is Who Wore it better?